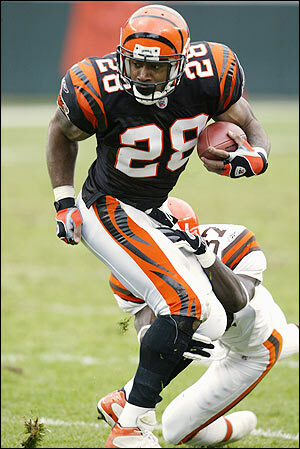 This entry was posted in Legendary Days, Players Who Should Be In the Hall of Fame and tagged Cincinnati Bengals, Corey Dillon, Corey Dillon Belongs in The Hall of Fame, football, greatest rushing game in NFL history, new england patriots, NFL History, NFL Players, Pro Football Hall of Fame, Super Bowl XXXIX, Walter Payton. Bookmark the permalink. Well Jerome Bettis just got in the Hall. Really? 9 out of 13 seasons under 4YPC? Playing for good Pitt teams. Never a home run threat….check his career runs of 40 yards or longer. Couldn’t carry Dillons jock. I live in the Philly area and have followed the NFL for 35-40 years. Dillon was the closest thing(along with a young O.J. Anderson in St. Louis) to Jim Brown of running backs 6 feet or taller(Earl was 5’10-5’11). Finished every run. Could make you miss, run over you or outrun you. 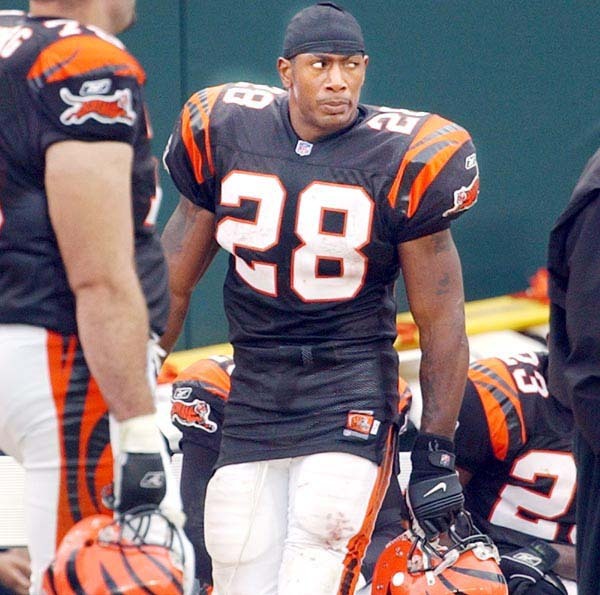 When Baltimore’s great defense hadn’t allowed a 100 yard rusher for 52 games….yep it was #28 who ended that playing for the lousy Bengals. What a shame he’s not getting consideration. 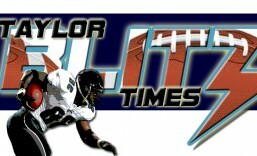 Knocked Brown and Payton out of the record books. I watched Eddie George and Jerome Bettis closely. George was big, ran with tons of heart, but didnt posess the extra gear Dillon had. Just look at his long runs and YPC. Bettis was blessed with great feet and ran with exceptional body lean, but again never was a homerun threat despite playing for great Pitt lines. Neither had Dillons power/speed combo. To put up the numbers he did and break records in that division is truly special. I’ve seen all the great backs. Dillon, of all the 10,000yd backs, easily had the toughest road to that milestone. Try playing for a perrenial doormat like Cincy, with no passing game in a division with Pitt and Balt, 2 top 5 run defenses. No 4th quarter carries to seal the win. 8 men in the box defenses at every turn. Now put up 6 straight 1000yd seasons at a stellar ypc clip, either have the longest TD run or be tied for it in the AFC for 3Yrs in a row, and manage to knock Jim Brown and Walter Payton out of the record books. A rare power/speed combo that I’ve only seen Brown and Bo Jackson eclipse for RBs 6foot or taller. He goes to NE, with 8,000 yds on the odometer and sets their record with over 1600Yds. He was big, fast, and finished every run. If he played in his prime on even a competitive team, we’re talking 15,000 yds. A Hall of Famer.